Pixel Film Studios presents ProParagraph Web Volume 3. It’s a set of 30 self-animating paragraph style designs that were created specifically for use in Final Cut Pro X. 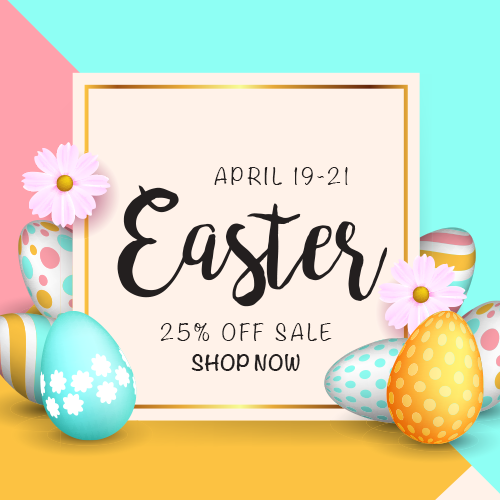 These presets feature web-styled elements and unique animations that are designed to speed up the editing process for all media productions. 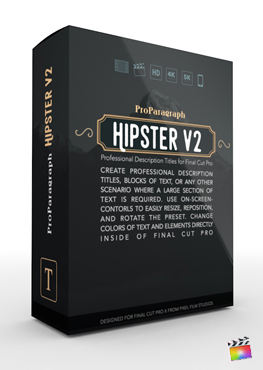 Add a professional and energetic look to any multi-line text animation within Final Cut Pro X.
Loaded with 30 web styled self-animating presets that were created for multi-lined text designs. Pixel Film Studios ProParagraph Web Volume 3’s minimal designs and quick animations make it an essential plugin for any Final Cut Pro library. Its a great way to broadcast your multi-line text information across any video production. Simplified interface controls offer an effective method that allows users to customize each preset design with our on-screen-controls. ProParagraph Web Volume 3 allows editors to easily alter the position, rotation, and scale of each preset. Additional controls allow users to customize colors, width, length, size, and opacity with user friendly slider controls and checkboxes in order to create unique new designs. ProParagraph Web Volume 3’s presets have their own intro and outro animations that will assist users in speeding up the editing process. Simply browse through the preset library and drag your desired preset into the timeline. Adjust the duration of the animation if needed and adjust the parameters provided in the inspector window. ProParagraph Web Volume 3 will do the rest. 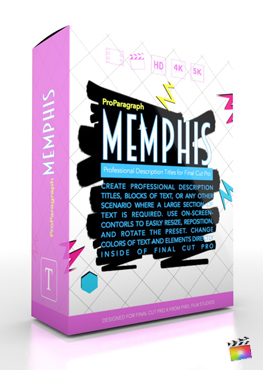 Pixel Film Studios ProParagraph Web Volume 3 is designed for Final Cut Pro X editors and users. Simply drag and drop the presets into your timeline and you’re ready to go. You can adjust the animation to your desired length. Our presets can go over any source media such as video or pictures. I installed ProParagraph Web Volume 3 and see a red screen similar to this. Where do I find ProParagraph Web Volume 3? 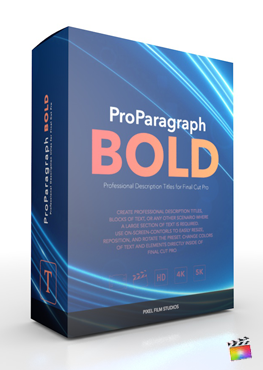 Once the installation is complete, you can find ProParagraph Web Volume 3 in the FCPX Titles library.